Victoria Sebanz is a muti-faceted artist expressing herself through poetry, photography, dance, mixed media and painted works. Born in Wisconsin, Victoria moved to Los Angeles where she attended California State University Los Angeles and earned a Master in Interdisiplinary Arts Education and a dual Bachelor of Art in Art and Dance. She has been recognized for her mural work at the Edelmann Children’s Court where she received the “Volunteer of the Year Award” from the City of Los Angeles. She has been nominated for the Disney Excellence in Teaching Award twice. 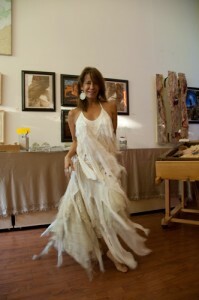 Her mixed media and photographic works have been exhibited at local galleries. Twice a year she opens her gallery to the public during the downtown Brewery Artwalk in the world’s largest art colony.